the Carry propagating through each of the three units. The G output is activated if the 4-bit unit generates a Carry Out irrespective of Carry In. 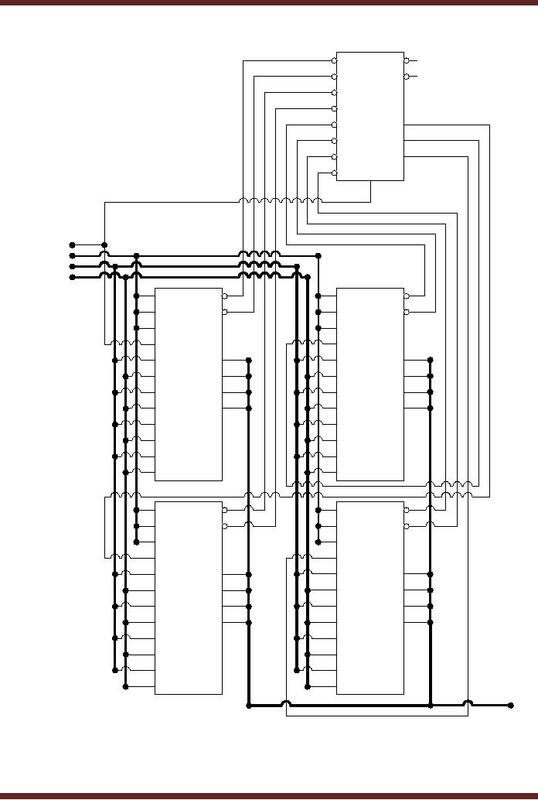 output which is available in the form of P and G output pins to allow a second level Cascading. 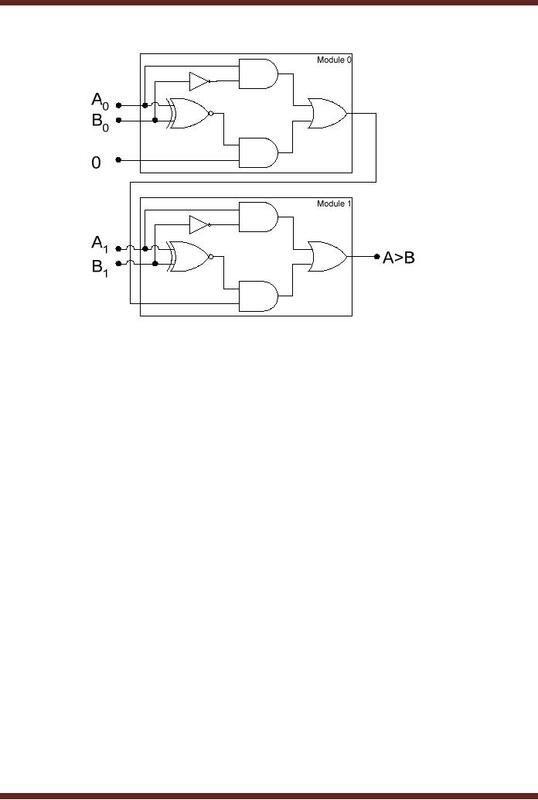 delay of 2 and are connected to the Carry in pins of ALUS 1, 2 and 3 respectively. 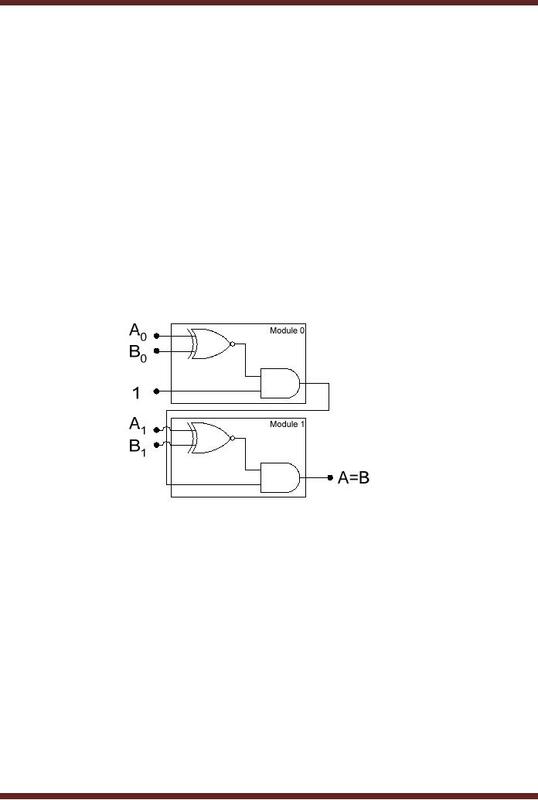 Comparators have three outputs to indicate A=B, A>B and A<B. such Comparators to form a 4-bit Comparator. easily cascaded without the need for extra logic gates by Iterative Circuit based Comparators. based Comparator is shown. 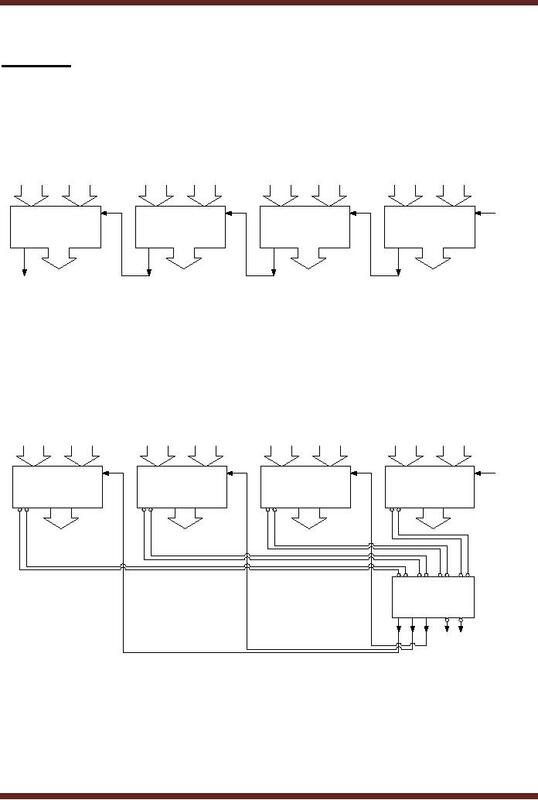 Figure 16.6.
two Modules connecting their respective Cascading inputs and outputs. input is 1, or if A1>B1. together forms a 12-bit Comparator circuit. Figure 16.7. 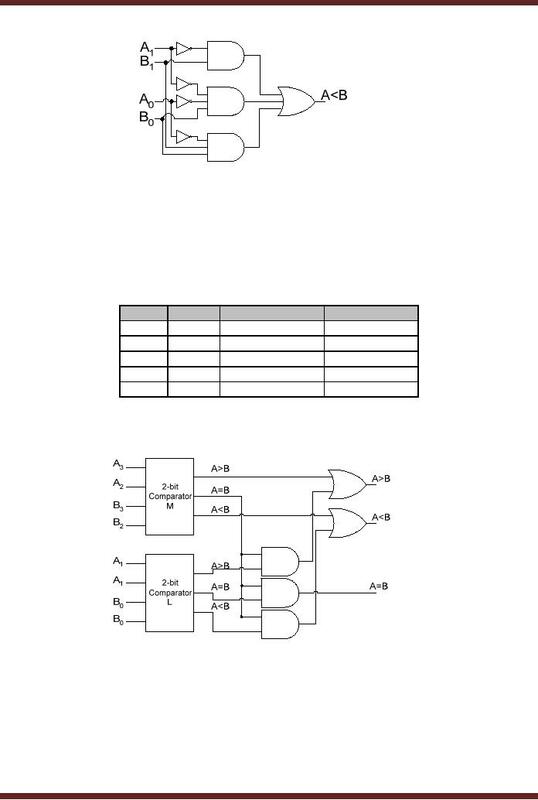 Comparator circuit is available at the cascading outputs of Comparator 3.
multi-bit code. There are different variations of Decoder devices. activates the Lock output. Similarly, it detects the 1001 code and activates the Un-Lock output. 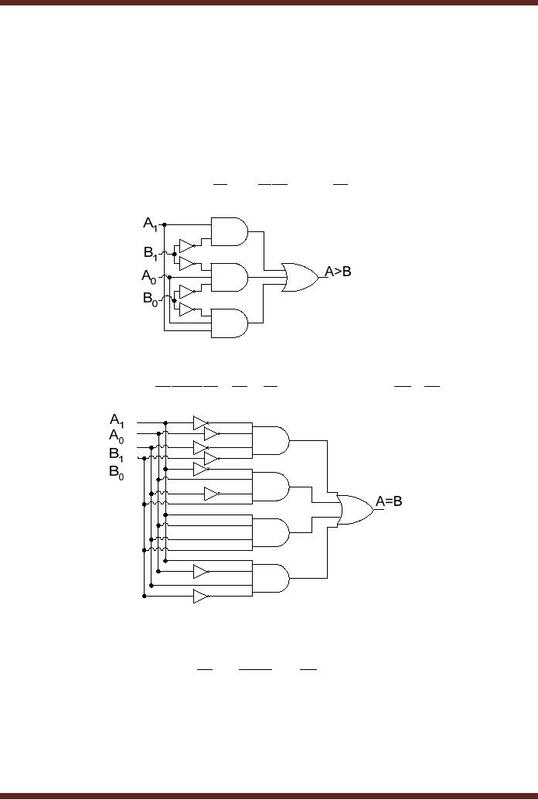 Two different outputs are activated to indicate the presence of two unique 4-bit binary codes. Lock different doors in a building. Decoders have two major uses in Computer Systems. Add two numbers, Subtract two numbers, Clear the result and Store the result instructions. control different logic circuits like the ALU and memory to perform these operations. 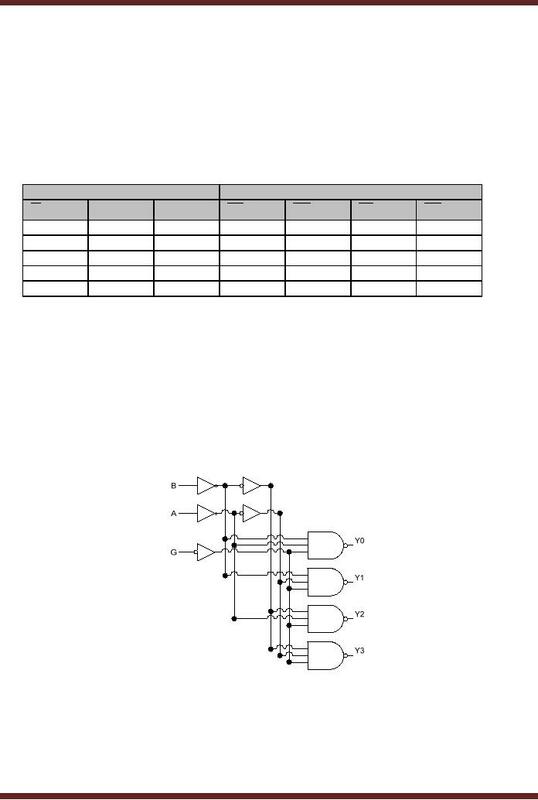 Decoders have n inputs and 2n outputs Each, n-bit input selects 1 out of 2n output code. inputs 01, 10 and 11 the outputs O1, O2 and O3 are respectively activated. diagram is slightly different form the one described in figure 16.9. 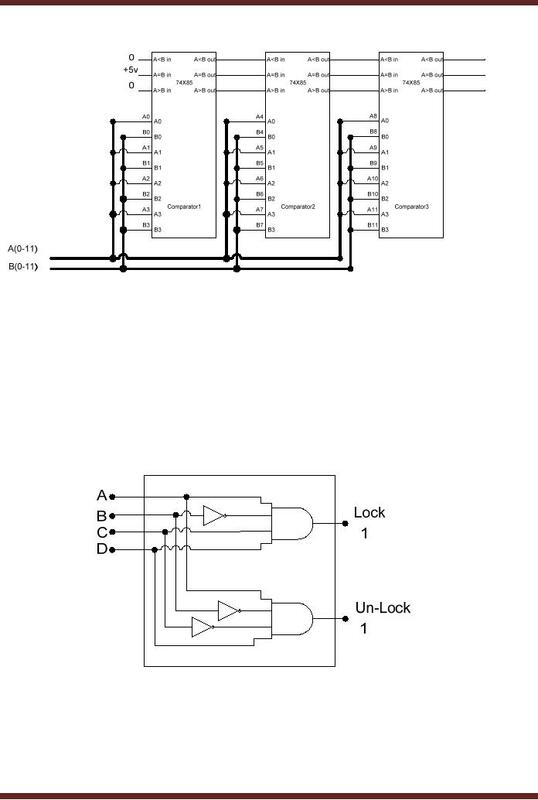 NAND gates and all four outputs are at logic 1 the in-active state. gates). 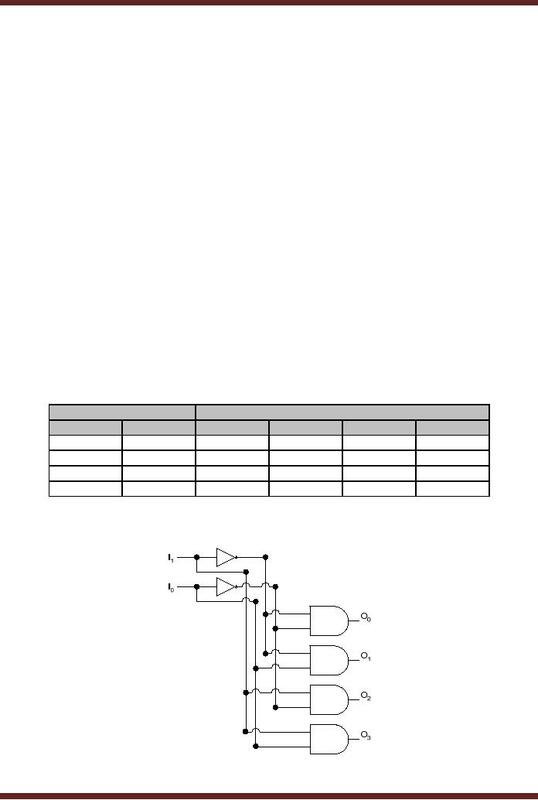 By having the extra NOT gates each input presents a single unit load.